Formed in 2006, Copper Country Preservation, Inc. is a 501(c)(3) nonprofit organization that operates under the direction of the Keweenaw National Historical Park Advisory Commission. 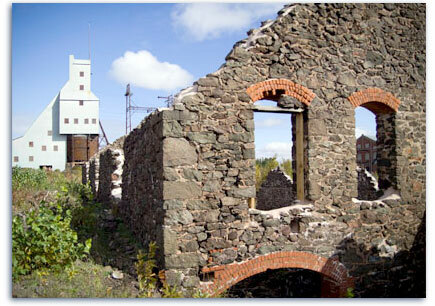 The seven commissioners of the Advisory Commission serve as the board members of Copper Country Preservation. The mission of the Keweenaw National Historical Park Advisory Commission is to work in partnership with the National Park Service and others within the Keweenaw National Historical Park to preserve, protect, and interpret the natural and cultural resources relating to the Keweenaw Peninsula's copper-mining industry for the enjoyment and benefit of current and future generations. Ruins of the Quincy No.4 boilerhouse remain with the restored No.2 shaft-rockhouse in the background. The mission of the National Park Service at Keweenaw National Historical Park is to preserve, protect, and interpret the natural and cultural resources of Keweenaw National Historical Park relating to the copper mining industry for the enjoyment and benefit of current and future generations through cooperative efforts and partnerships with state and local governments, public and private entities.